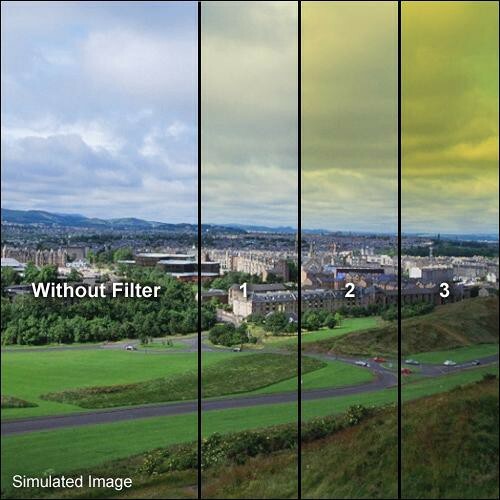 The Series 9 Graduated Yellow 3 Filter from Formatt is one of the most widely used category of filters. It enhances reality, adding a touch of subtlety or drama to the image. The Graduated Yellow 3 filter produces a vibrant yellow effect. It differs from a Graduated Whiskey that is more subtle in appearance. The Grade 3 is the strongest version of this filter and will add the most yellow to a bland sky.